My how time flies! 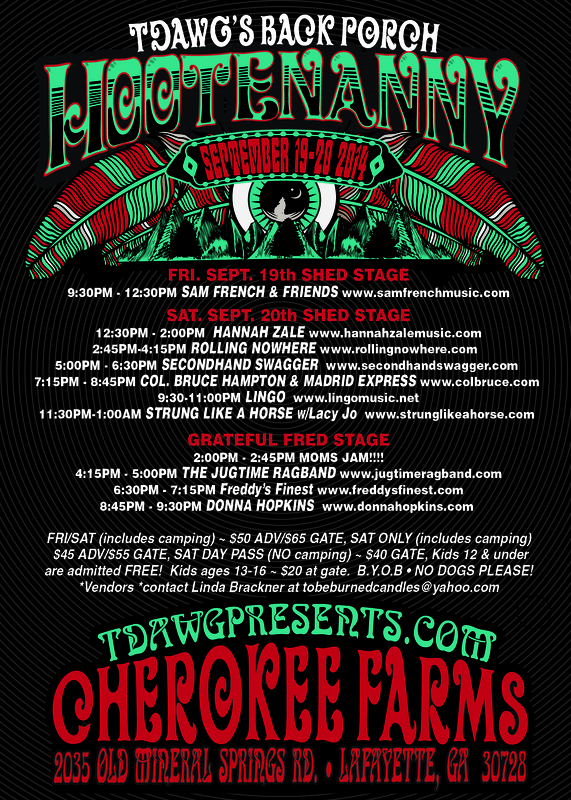 Here we are the week of the 17th edition of TDawg’s Back Porch Hootenanny y’all! 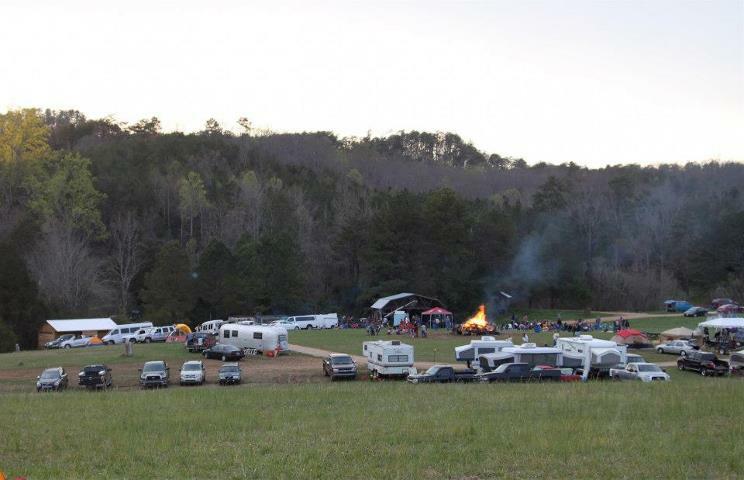 The temperature will be just right for a big ol’ bonfire, and the music will keep you moving all day and all night! Freddy’s Finest has evolved into quite the funk/jazz ensemble that can really tear it up. A perfect for the 6:30pm set on the Grateful Fred Stage, and an ideal band to directly precede Col. Bruce! Check out their Lettuce jam from the Moonshadow Tavern not too long ago. Let’s just say it’s a very involved jam where each participating musician brings it!